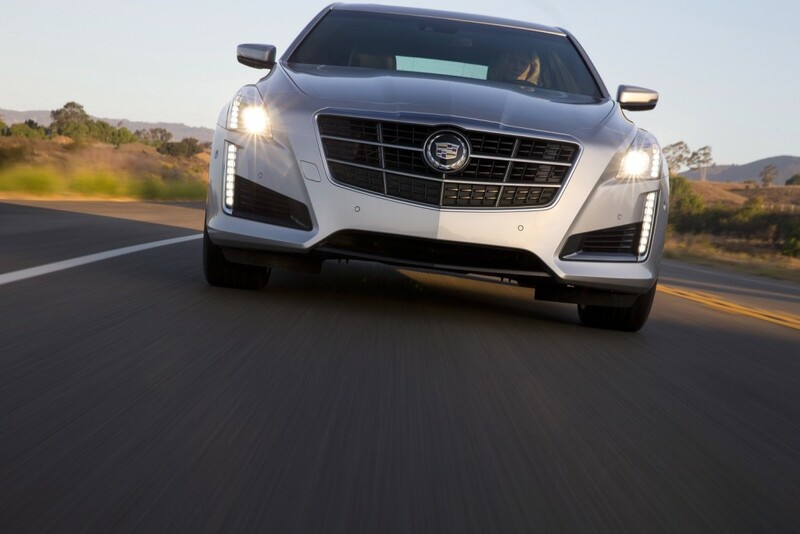 General Motors has issued a new recall for the Cadillac CTS luxury sedan over an issue with the vehicle’s seat heaters. The defect: damaged seat heaters could potentially catch fire. The hazards: the damaged seat heaters could catch fire when no one is inside the vehicle. For example, when the CTS has been remotely started, the flexible heating mats under the seat may be damaged with time and begin producing excess heat. The recall comes after a 2015 CTS caught fire after an owner used the remote start function with the heated seats active. Affected components: seats. The recall only applies to CTS models with heated seats. Number of vehicles affected: 53,586 units (United States figure). The fix: the necessary parts to fix damaged seat heater mats are not available at the time of this writing. In the interim, GM has instructed dealers to disable the automatic activation of the heated seats when the Cadillac CTS is remotely started in cold ambient temperatures. The operation as well as the fix will be free of charge to owners. Owners should: await notification from GM. The automaker filed the recall on September 7th, but hasn’t provided a notification schedule for owners of affected vehicles as of this writing. Operation free of charge to owners? Don’t think so! Trip to garage is not free nor is the more important waste of time! Instead of worrying where the marketing staff and executives reside, let’s concentrate on building quality vehicles so the vehicles have a positive image! They should have disabled the heated seats, through the BCM and pulled the fuse. Then when parts would be available, then fix it. Instead they issued a Stop Delivery until they come up with a fix. Purchasing pushes their suppliers to make cheaper products. Bill Purchasing for the recall, since they are the cause. When I sold to GM, the purchasing people were the worst mooches I ever ran across. They should go back to the system they had in the DTS the ceramic pellet, instead of the wires under the seat. My last observation was that Americans are not getting smaller. The seats need to be a good 4 inches wider to handle the frames of some of those people. It seems like the system should be smart enough to identify if it’s damaged and generating excessive heat. Should the owner be able to tell visually if there’s a problem with the pad? The newer seat heaters in Cadillacs already seem much weaker (get less warm) than in previous generations. I wonder if this will cause future versions to get even weaker. This actually made the news, when someone’s Caddy was in flames minutes after being remote started. The owner who recorded it said she was glad her small children weren’t inside at the time. GM is like McDonald’s, loud and quite visible appearance, much emphasis on making a profit and advertising; but you just don’t go there for a quality product. Time to put this into better perspective. As of now there is on reported fire out of 53,586 cars. To this point on this I would say Cadillac is being proactive unlike Ford and Jeep who had a number of fires and death due to bad fuel tank protection yet still refused to recall till investigated and forced. Two this may be a simple supplier issue as the heaters are not made by GM. Hell the seats are often supplied by Lear or Recaro and shipped to the plants completed before GM touches them. Three pulling a fuse may not be an option as it could disable other systems. The customers will take in their cars and all will be given a Cadillac to drive as theirs is feint fixed. GM could have tried to ride this out at the risk of customers and more fires but they are bringing them in for repair. I would say they chose the right path if they are looking to improve their image in light of a unforeseen parts failure. Bottom line is when your components are second and third tier you will forever be nothing more than a tier one wanabee! Proactive as in the GM ignition switch? The suppliers are often the same for each company. The cost are looked at and companies have to decide do we use a little better leather or do we invest it in a better engine? The money all goes in but each company has to choose where it goes. As explained to me by a brand manager GM has always put it in the Driveline or suspensions. For example the 90’s Camaro that were best handling and engines but lacking in the interior. What it all comes down to an automaker can give it all to you but you will not pay the price. Even Honda and Toyota cut corners as they have seats that fade and shread. They have some of the worst metals that rust out as well as engines with timing belts not Chains. Until you get to the real high end cars there are going to be compromises in all of the some place. You don’t have to explain it to me scott3, I have been in meetings to make this kind of decision. I have driven plenty of GM and Cadillac vehicles and I have had plenty of drivetrain troubles. Do you seriously believe a timing chain is better than a timing belt. Our Cadillac CTS 3.6 needed timing chain at 140,000 miles, mother in laws Enclave 3.6 at 75,000 miles. My buddy, years back, had a VW with a belt 250,000 miles, when it failed bent valves but 250,000 miles. And are you serious, are you actually saying that at GM the average engine is better than Honda or Toyota, if so you are a fool. Honda and Toyota have been at the top of vehicle dependability and reliability for years, years. Highest mileage on the road, highest owner loyalty, highest resale. Don’t tell me I wont pay the price, you don’t know that. I have driven 6 Cadillacs and 3 Duramax, along with several other GM models, but Cadillac and Duramax are the highest GM on the road. I thought a Cadillac was supposed to be a high end car, I don’t see Audi seats burning up, hell I don’t see Chevy seats burning up. If GM doesn’t get a handle on this Quality, Reliability, Warranty, Customer Satisfaction, stuff they will find themselves in further trouble. Recalls in China, Recalls in US, Customers showing videos of new vehicles on fire, videos of new vehicles with engines knocking, videos of new vehicles chugging, shuddering, jerking. My cousin has had 2 Audi A7, even when he gets the oil changed he drives a new, new, Audi A7 as a loaner, for the day or they come get it and exchange it NO TROUBLE for him. This deal of buying a $70,000+ vehicle with 50,000 to 100,000 mile, or even the lesser 36,000 mile warranty and the dealer having it for days or weeks to repair is ridiculous. And then that is normal operation of the vehicle. Give them there money back or a new one, if there is truly nothing the matter with theirs just sell it to someone else and Cut and Run, the most they can say is I had trouble and they gave my money back. Cadillac is a master at the Cut and Run. Picked mine up from service yesterday. Two open recalls not addressed. Tires not aired up. This is a problem not just faced by GM. My wife has spent 12 hours on the phone with Jet Blue trying to book a flight to Fl. Lazy incompetent people, mostly offshore. Hard to understand, don’t care. Young people today have learned in school that it does not matter if you work or not, they will pass you anyway. Then they bring that work ethic into the job force. No wonder we are getting more and more electronics, made in China. The Japanese at least had an attention to detail. Americans to Ruggedness. Poor quality, but it would last. I tok it back for the tire pressure.